The striking contrasts of China's history that fuses mass culture with centuries-old elegance are woven though the Ms MIN Spring Summer 17 collection. 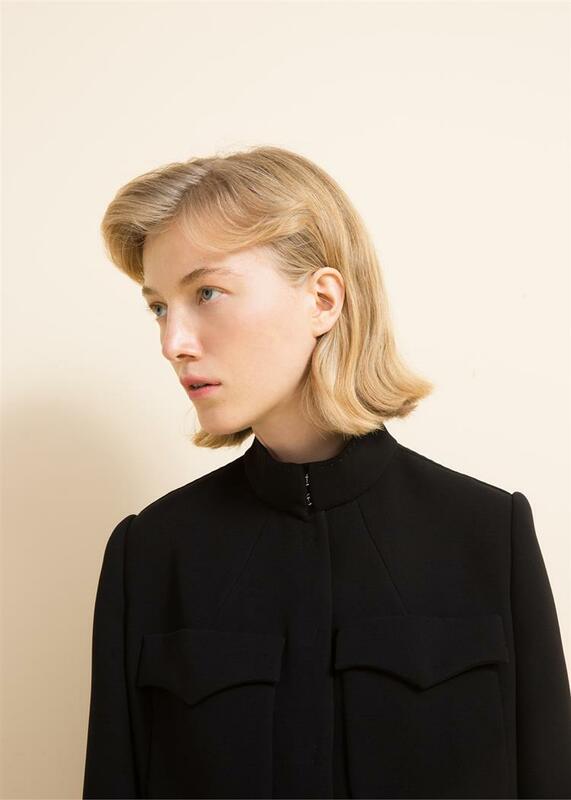 Military-inspired jackets and dresses take inspiration from Mao-era functionalism with high collars, patch pockets, and zippers, while the collection’s bespoke detailing, custom fabrics, and fine handwork, celebrate the country's opulent past. 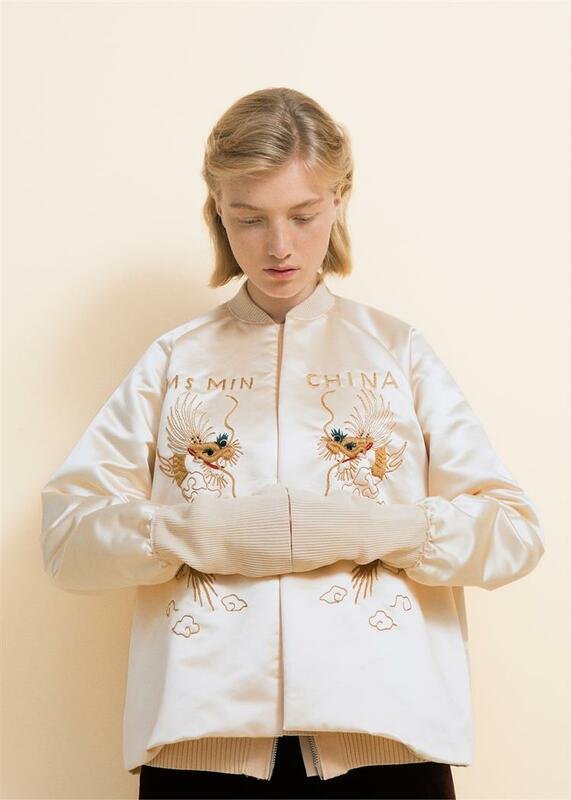 Modern China's kitschy, mass produced wares given a sardonically chic spin in satin bomber jackets, blouses, coats, and culottes, embroidered with archetypal dragons and the words, "Ms MIN CHINA". A cheeky rebuke to the, often-derided "Made in China" label from a brand that proudly produces luxury garments in the coastal city of Xia Men. Nostalgic but modern; dresses are sashed with Obi belts, the lace panel of a blouse recalls the traditional girl's tops of China's colonial days. Symbolic imagery, phoenix and pagodas through lotus flowers, are accented. A classic Chinese palette— rich reds, pale peony pink, jade green, and ebony— is set against swaths of timeless cream and navy. 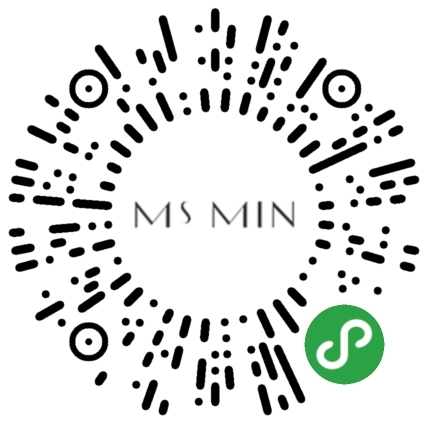 As with every Ms MIN collection, a range of custom fabrics were created exclusively for the line: Chinoiserie Jacquard, and scalloped silk eyelet, to watercolour silk prints. Crisp tailoring offset by an audacious femininity, another Ms MIN hallmark, is encapsulated in the perfect white suit, balanced against finely pleated chiffon, intricately hand-stitched satins and silks, and a hint of delicate lace peeking out beneath a skirt hem. 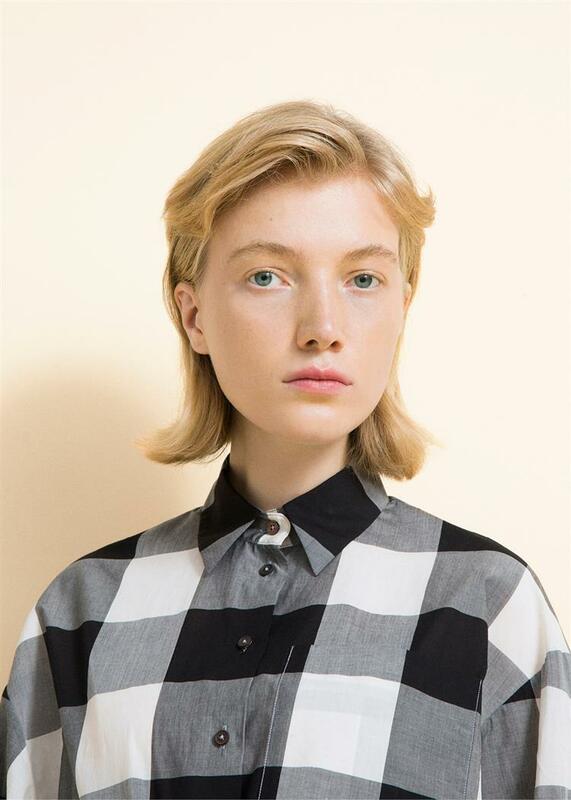 The theme of incorporating traditionally "winter" fabrics into spring attire, fine knits— ribbed, sheer, and backless— are fashioned into lightweight tops, alongside an array of supple silk blouses. 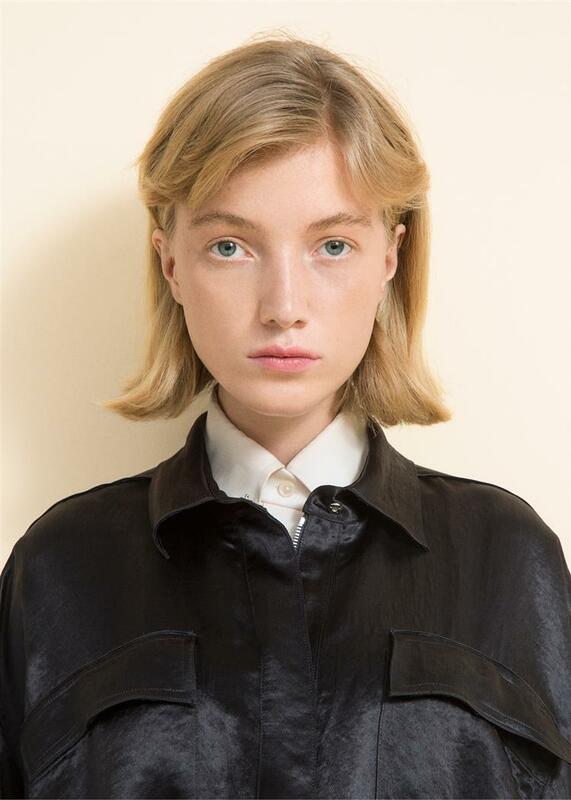 A selection of cream and black skirts, blouses, trousers in suede-feel cupro which are topped with a classic trench, offer a collection within a collection, of flowy and comfortable garments, that are ideal for summer.